Our Czech Rocailles 33-0 Glass Beads come loose, not strung. The beads can be described as larger irregularly-shaped pony beads. They average 1/4" in width. See color chart below for pictures and pricing. 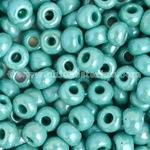 For general information on seed beads, click HERE. Sq. 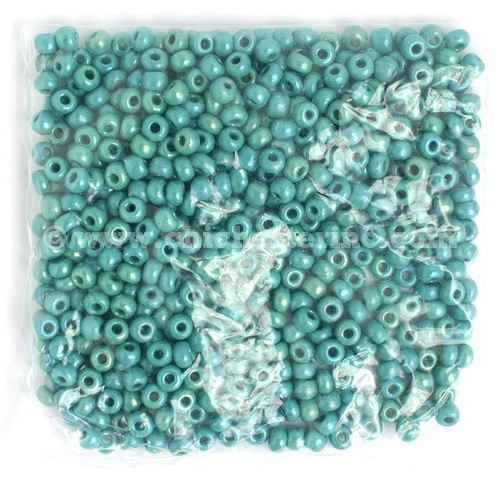 H. = Square Hole Solgel = These are beads that have undergone a special process which allows them to be dry-cleaned and also makes the color more fade-resistant than regular beads.